Is your LinkedIn profile in need of a refresh? If you haven’t updated it in a while, there’s a good chance you’re using an outdated approach. Heed the following tips to modernize your LinkedIn profile for success in 2018. The job market is more competitive now than ever. Everyone can go on about what an expert they are. That’s why the name of the game in 2018 is concreteness: offering specific examples and data to back up your skills and experience. Using the current buzzwords for your industry can make you look like an insider and make your profile search-friendly. But using buzzwords that are outdated for 2018 — like “guru,” “code ninja,” “detail-oriented,” and “team player” — can have the opposite effect, making you look like you’re on the outside. Does your LinkedIn profile photo make you look smart and together? Or out of touch? Aaaand that’s it for now. Happy new year everyone! 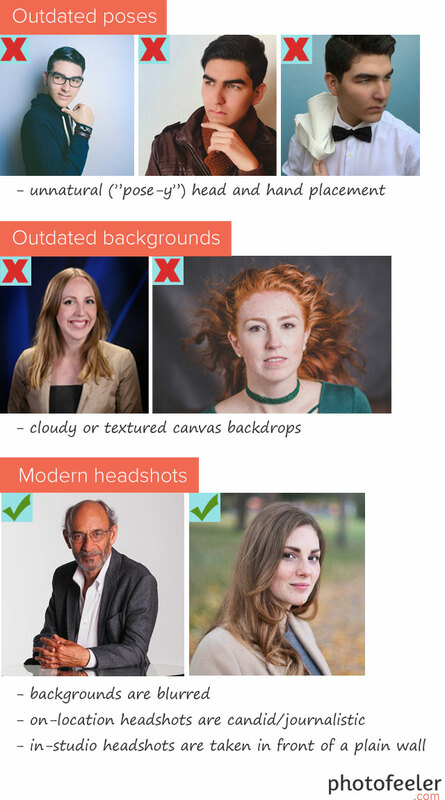 We’ll see you back at Photofeeler to test your latest headshot and maybe even a fun party pic from the holidays. Eh?